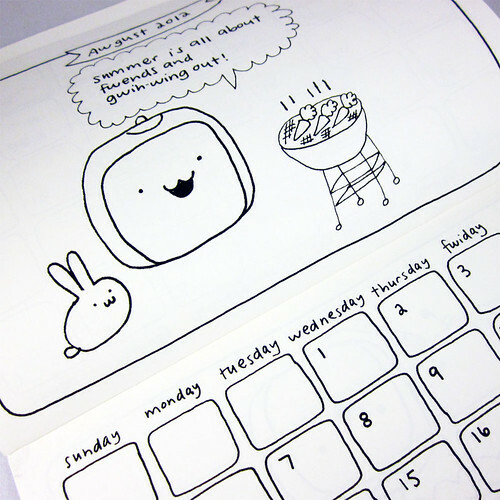 You can get a Tofu Baby Cawendar for 2012! 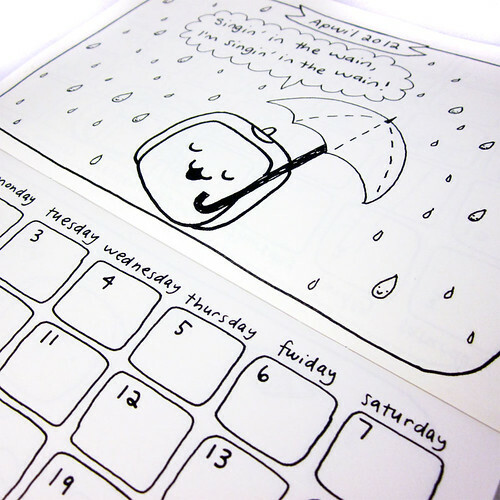 My new cawendar has a scene dwawn for each month, so it is a widdle diffewent fwom my wast cawendar. 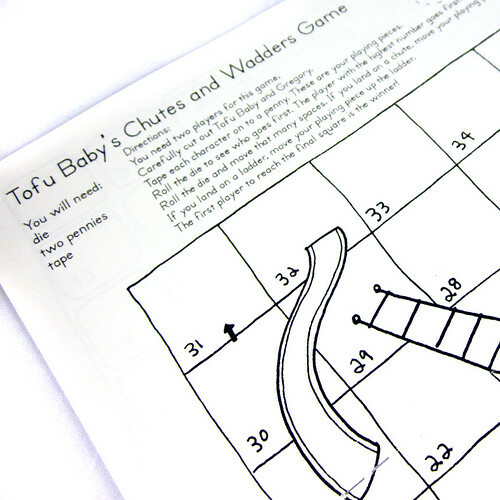 I also put in a Chutes and Wadders game in the middle, so it is wots of fun! You can get your cawendar at Shoppe Sugar Cookie! 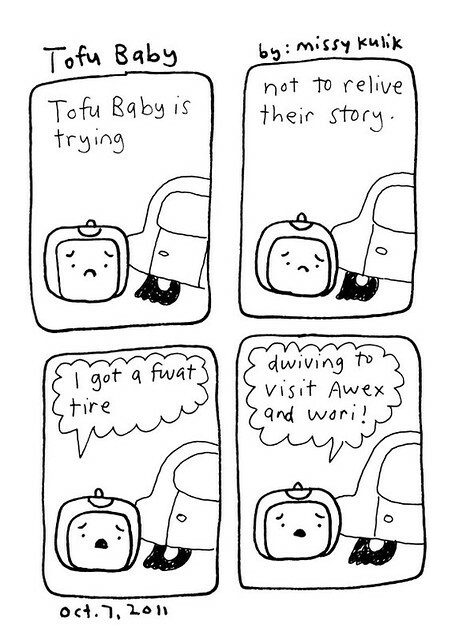 Dwaw Tofu Baby from missy kulik on Vimeo. Now you can twy your hand at dwawing me, your favowit bwock of soy! I was asked to make a vewy special comic for a couple who were getting mahweed. Their names are Awex and Wori. Here is their comic that goes with their first date story! I think it made a wuvwee gift. It is so vewy cold outside watewee! 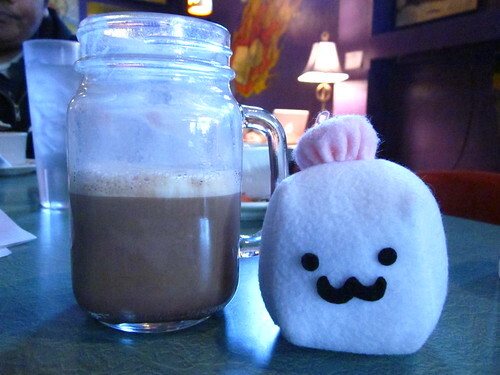 I am keeping warm with some yummy hot chocowit.